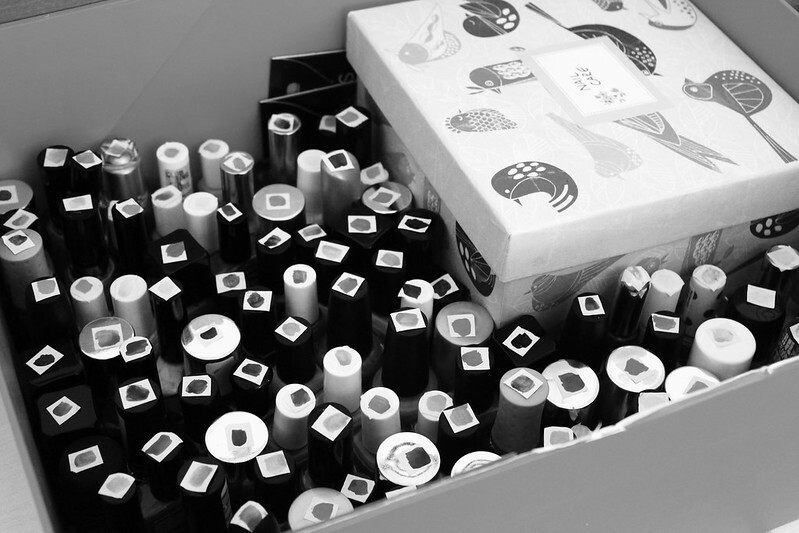 B U B B L E G A R M: Labeled Nail Polish Storage! What a great idea! 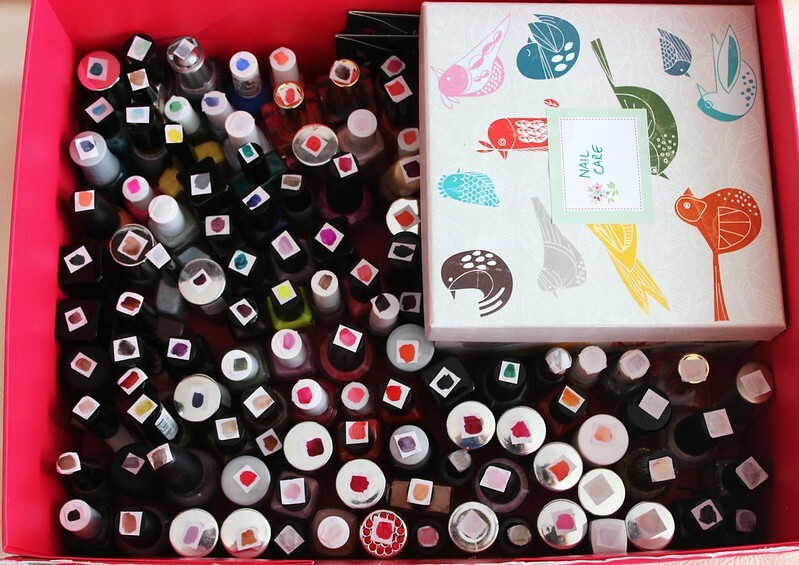 I never liked storing my nail polishes in a drawer or box because you cant see the colors well but this idea is genius!! Awesome post! Love this! I don't have as many as you but keep mine in a case, I have swatches on nail wheels and a list of the shades. This is a fab idea. I own way too many nail polishes, I know it would take me a while to complete! Cool idea, but I don't have the patience to do that AND my polishes lie on their side, so it wouldn't work for me. Nice idea :) and a space saver ! Genius idea. I don't own enough polishes, but it's great for people who do. My box of polishes go under the bed too. This is a fab idea for organising, going to have to try this- thanks for sharing! Ah this looks so pretty :) I don't have nearly as many nail varnishes so mine are just in a pretty pot with my make up! Love the blog! I made my own wall hanging wooden nail polish rack that works wonderfully and was so easy to make. It has turned my nail polish into art work and also it's easy enough to see all the colors I have! great idea,i really have to organize my own collection soon! Great idea! I store all of my polish in a drawer in my vanity so I can see most of the colors when I open the drawer but this is so smart! I saw this tip on athriftymrs's blog a while back :-) it's sooo smart! this is my nail polish storage! Holy nail polishes! I would be painting for days!! Genius! Well done! We cannot wait to try it out for ourselves! 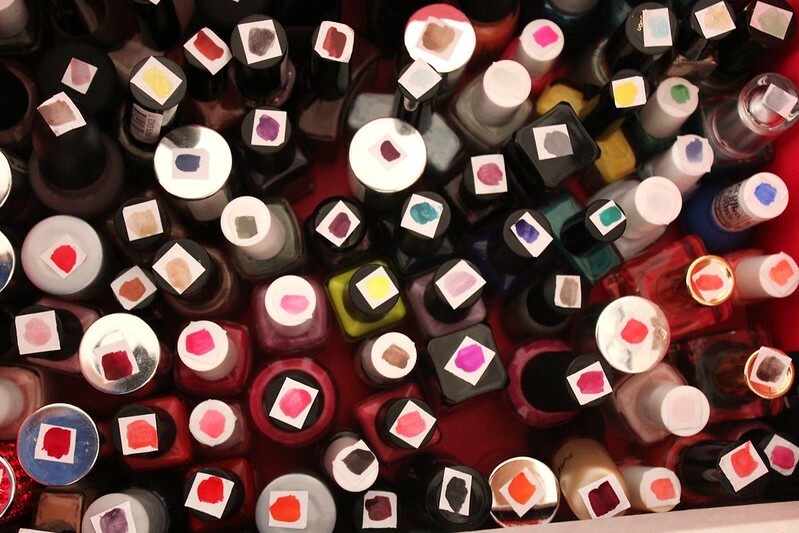 That is an amazing collection of nail colours!! And the organisation that must've gone into that is awesome! Are you free to come round and sort out my mish mash of nail varnishes and make up?? hey! great post! i store my nail polish exactly like this! haha! maybe u'd like to visit my new blog and follow me...that would be so nice! Wow quite the collection! I do this with my polishes too, great for a quick grab and go! Brilliant idea. I have no idea why I didn't think of this. Doing this ASAP! I promise my self i'll do a similar thing with the shoe boxes - POLAROID project. What a cool idea! Simple yet fabulous. I wish i had the patience and organisational skills to carry it out. Amazing collection by the way! 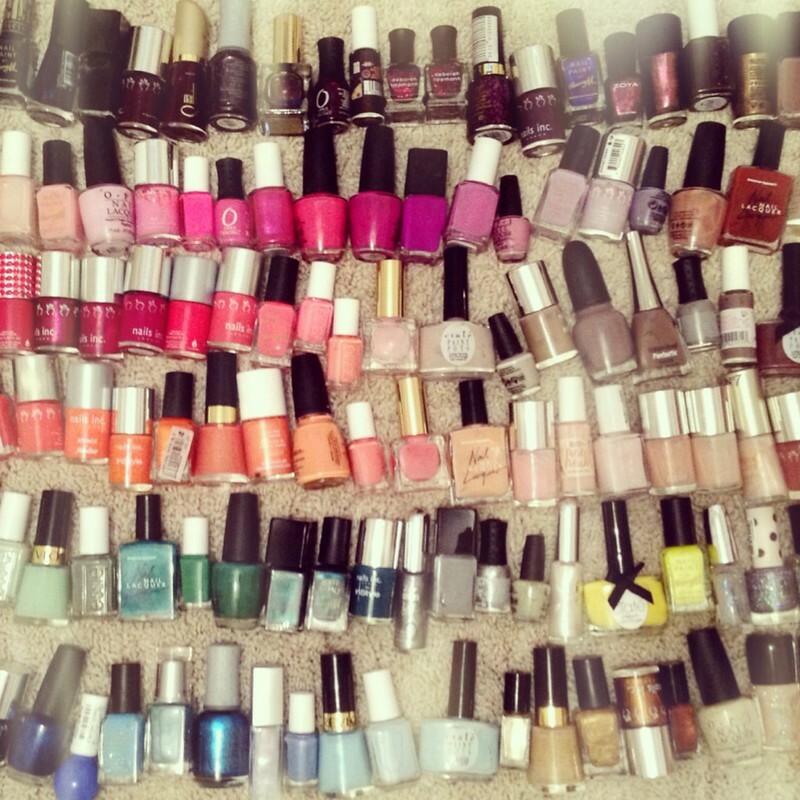 Wow, and I thought I had a lot of nail varnish. I just keep mine in a big make up bag. I love rummaging through it.